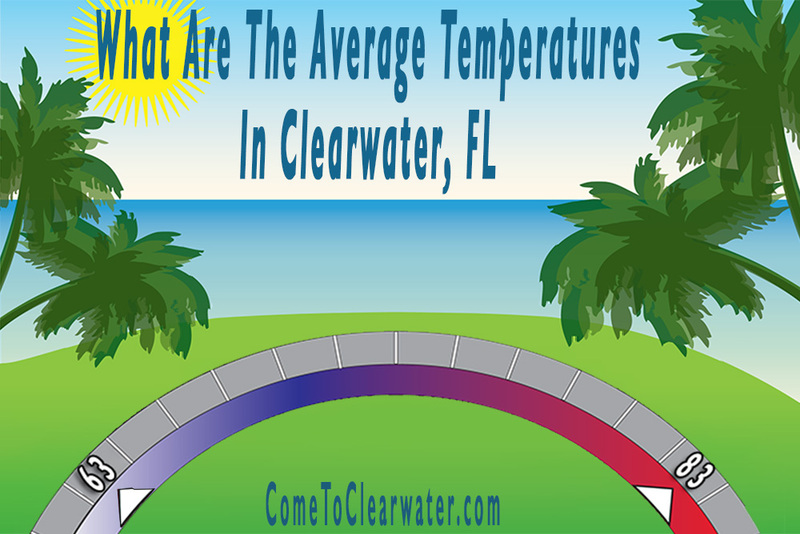 Clearwater, Florida is a great vacation destination, mostly because of it temperate climate. Sun, fun and beaches are the usual fare. Knowing the best time to go, given temperatures and rainfall, puts the most beach time in your future. Clearwater is located on the west coast of Florida, along the Gulf of Mexico, near Tampa. Part of its draw is the fact that its average temperatures are a high of 83° and an average low of 63°. Not too bad for any time of year! 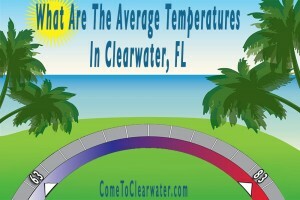 Of course an average means there are warmer and cooler times of the year, and Clearwater is no different. The warmest month is August with an average temperature of 82.1° and the coolest is January with an average temperature of 62.3°. The most rainfall also falls in August. Of course another group of temperatures that are important in figuring out a great vacation time are water temperatures. Anyone who has been in the Mid-Atlantic region in June when water temperatures are below 60°, knowing how chilly the water you’ll be swimming in is kind of important! So here are Gulf average temperatures by season: Spring is 73.7º; Summer is 84.7º; Fall is 76.7º; and Winter is 63.7º. The bottom line is there is no bad time of year to swim in the Gulf! So it appears that any time of year is a good time of year to visit Clearwater, Florida!